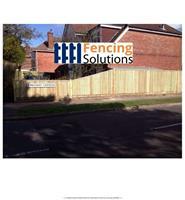 Fencing Solutions - Fencing/Gates, Landscaper based in Southampton, Hampshire. We always strive to meet our customers’ exact needs and expectations. We have always been committed to offering a professional, friendly, and efficient service. We have a dedicated and highly skilled team of tradesmen who have many years of experience. Our team will always ensure that each project is finished to the highest standard.